Our kitchen may be one of my favorite spots to get really clean. I know that's strange, but something about a sparkling kitchen appeals to me and makes the entire house feel put together. I think it's because we spend so much time in there, preparing food and hanging out as a family. It's often our gathering place. 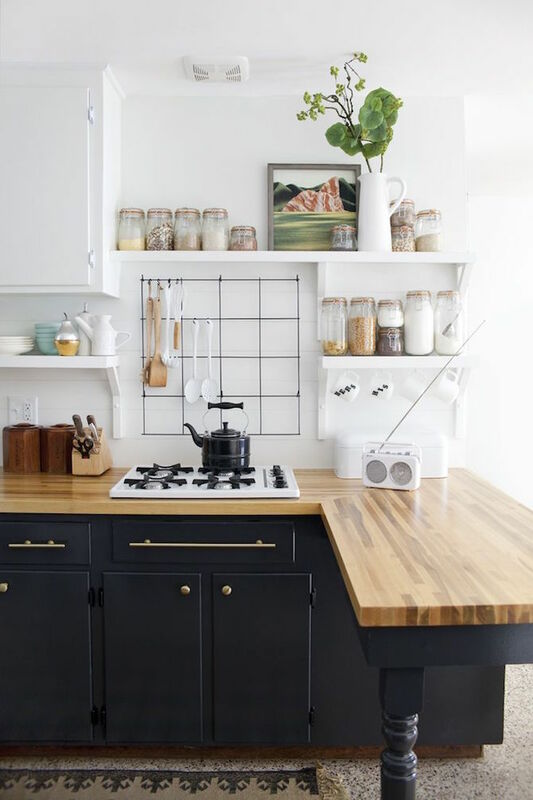 We work to keep our kitchen really clean throughout the week, but I love giving the counters, sinks and stove a good scrub with something a little more abrasive like this cleaner with vinegar and baking soda. Think along the lines of Comet but without all the toxic chemicals and with a much better scent! Also, if you are wondering about cleaning the kitchen floors (and the floors in the rest of the house! ), click here. Mix together in a ceramic bowl to make a paste and scrub surfaces, rinsing with a damp cloth or water. Use to clean counter tops, stove tops, bathroom counters and floors, tubs, sinks and kitchens! Store in a large glass jar . And just for good measure, here is our recipe for our daily use counter cleaner. We use this to clean up after preparing food, for spills, for cleaning the high chair tray, on the stove, counters and sinks, for just about everything! This also works really well on our flat cooktop stove! Place soap and essential oils into your spray bottle and swirl to mix. Slowly add water to the top of the bottle and give it a shake! You can also make this cleaner with just lemon or any other essential oil. I alternate between eucalyptus, citrus fresh, thieves + orange, and purification. To find out more about essential oils and how we use them, click here. To get started with your own oils at a 24% discount, click here.